Proteas batsman Farhaan Behardien will lead the Cape Town Blitz in the inaugural Mzansi Super League. Behardien, who has played 32 T20Is, is no stranger to the leadership role as he captained the Proteas for three T20Is against Sri Lanka in 2017. Given the demands of the tough environment, Behardien – affectionately known to his peers as Fudgie – will look to create a relaxed environment where players take accountability and ownership while having fun. ‘It’s an honour and a privilege being called on to lead the Cape Town Blitz. The game itself is high-pressured, so the team culture and environment need to be relaxed and light-hearted,’ Behardien said. ‘Everybody in the group must grow and make their own decisions in pressure situations. I’ll try to guide some of the younger guys in tough situations but will lean on Quinton de Kock and Dale Steyn for assistance, where needed. ‘Being a Cape Town boy does not add any further pressure to the role of captain whatsoever. The plan is to approach this competition to have some fun with the Cape Town Blitz,’ he added. Coach Ashwell Prince stated that it was not an easy decision to make and considered knowledge of the opposition as a key aspect. ‘I feel it is really important for the captain to have a great deal of knowledge of the opposition players and that tilted things into Fudgie’s favour. He’s played a lot of cricket against most of the opposition players,’ Prince said. 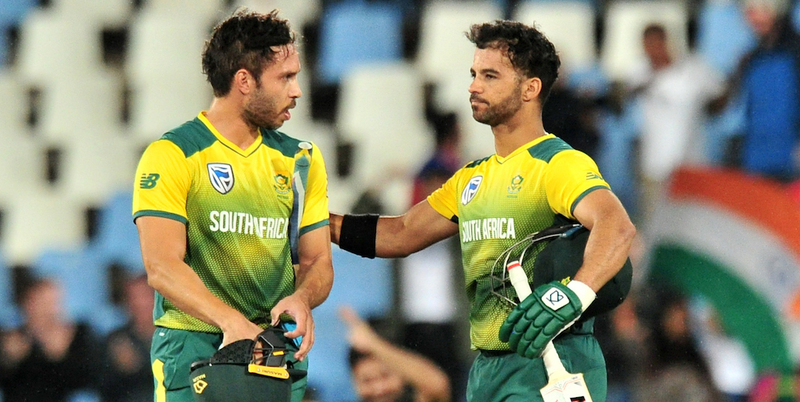 ‘Obviously, [marquee Protea] Quinton de Kock and [international marquee player] Dawid Malan were also considered for the captaincy role,’ he added. The 35-year-old Behardien is currently in Australia with the Proteas for a three-match ODI series and a one-off T20 and will miss the home match against the Tshwane Spartans (16 November) and the Durban Heat (18 November) in Durban. Prince was still undecided about who will lead the team for those matches but said that Malan, who currently captains Middlesex in England, will ‘probably’ captain the team. The Cape Town Blitz host the Tshwane Spartans at Newlands for the opening match of the Mzansi Super League on 16 November. Tickets for the match are available at Ticketpro or at the Newlands Ticket Office.